Post news Report RSS	Day/Night, Evolution, new HUD and particle effects! This week Ive been working on the mechanics for the actual game. The map editor is good as it is and destiny needed some attention :o! Something I really wanted was to add particle effects. Attack animations look too dull, I feel this can be enhanced with basic lighting and particles. Specially for fire attacks! Take a look at this weeks work! Now, what is a day and night cycle for you might ask? Well, there are pokemon like umbreon that evolve during the night. It was pretty much added for that sole purpose actually XD! This can be turned off on some maps via server commands. 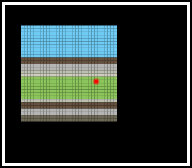 In the final version the transition of day and night will not be as fast as shown in the video. The video is just for demonstration. This video is for people that hate reading and want some visuals. Quick note: You notice that charizard goes beyond level 100? That was just me playing around with the levelup system, the max level will be 100 XD!! 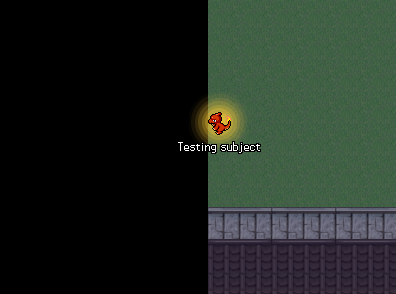 Another addition to the render engine is that it will draw an outline of the player when their sprite isnt visible. Helps you and other people know where you are, and this way you can see other players that are hiding behind walls. 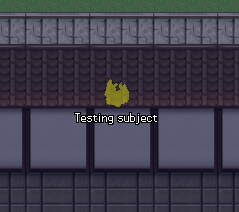 However, there will be an ability to turn this effect off with some special tiles. Blocks will have a "NoOutline" property added into them for people that want their players to be able to hide behind walls. Particle effects have been partially added. You can make some pretty neat effects with these :D The current particle engine is pretty basic, and it currently only allows the use of these little pixels. Textures will be implemented in a later update. Aswell as particle size/acceleration/fade properties. That is all for now. By the way, I still have a problem with the sprites below :D! For anyone that wants a shiny skin ingame, feel free to contribute with your own set of sprites!